The traditional crown door design mimics a french country detail. Interesting color used on oak. Not your typical golden oak, adds a twist to a grainy, out of date wood. 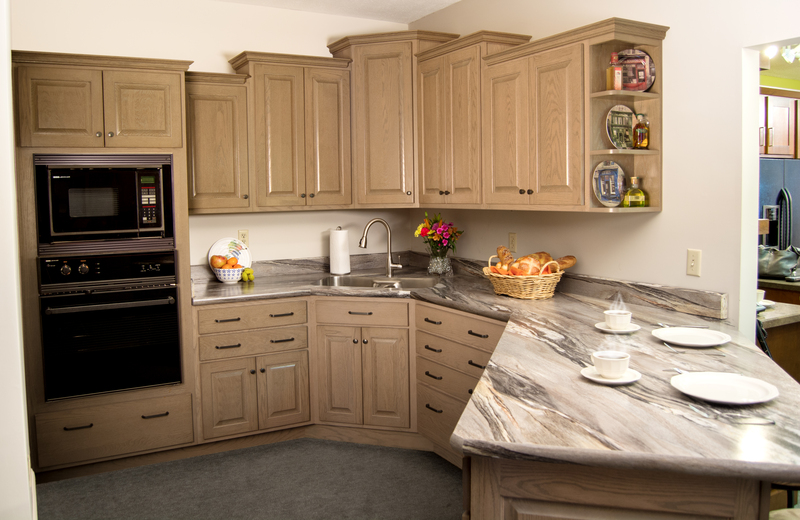 Wall cabinets are staggered to add interest with detailed crown molding. Corner under mount stainless steel sink offers seamless design.